It's about that time, the time to make all your dreams come true. Our Homemade Almond Butter also known as Dream Butter is ready to be made and enjoyed nationwide. What makes this nut butter so dreamy you ask? Well, the combination of roasted almonds and fatty cashews, and rich cocoa powder create the perfect harmony of flavors. Don't believe us? 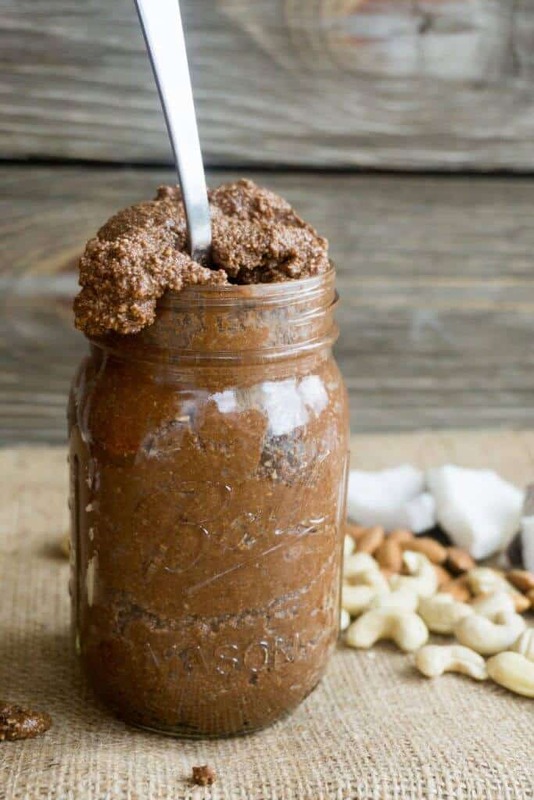 Take 30 minutes out of your day to make this nut butter and let all your dreams come true! Now You Know How To Make Almond Butter! If you don't have time to watch the video of Matt making the almond butter above, I'll let you know that making almond butter takes less than one minute to learn. All you have to do is roast your raw nuts and process for 3-5 minutes, adding whatever additions, such as cinnamon or coconut oil, that you want. To be honest, you don't even have to roast the nuts. You can add them straight to the processor and let your food processor do all the work for you. We find, however, that roasting them add an intense, delicious flavor to the final product! ​It's hard to believe we both have gone over 20 years without making our own nut butters. It is one of the easiest and best bang for your buck recipes we've made. Not only does the flavor enhance ten fold when you are roasting and processing your own nut butter, but you also get to have control of the fat to carb ratio! Homemade nut butters are truly what all dreams are and should be made of, hence the name Dream Butter! Now that you have homemade almond butter in your rotation of foods you can give our homemade peanut butter a try also! Something I'd like to add is that you don't, by any means, have to stick to what we have listed in the ingredients section. You can play around with the ratios of nuts or add in other flavors. I think some cinnamon and maple extract would be my preferred flavor combination. You could even go the pumpkin spice route for the fall season and gift it to friends for the holidays! And, we don't mind if you take full credit for this dreamy homemade almond butter! Recipe can be quickly added to MyFitnessPal - Search "KetoConnect - Homemade Almond Butter"
Transfer all the nuts to a baking sheet and add 20 grams coconut oil and 1 tsp salt to the nuts. Toss them to fully coat and spread them as evenly as possible onto the baking sheet. Place in a 350 degree oven for 15-20 minutes. They will get darker and smell toasted. Allow to cool for five minutes before adding to the processor. Place slightly cooled nuts into a food processor and process for 1 minutes. Add 1 tsp of salt and 30 drops of liquid stevia and the remaining 80 grams of coconut oil. Process for 1-2 minutes. Add the cocoa powder and blend for another 30-60 seconds. Store in a sealed container in the fridge and enjoy!